Most books in the self-help genre convey the same simple idea: believe in yourself. While building self-confidence is the key to success in many arenas, including the business world, there are other aspects that also deserve attention. Unfortunately, most books in the self-help genre don’t address anything beyond how to encourage yourself on a very basic level. Some books, however, go beyond the simple catch-phrases and actually provide useful and unique insights for people in the business world. These books can help you become a better leader or manager or get the inspiration and encouragement needed to start a new business venture and see it through until it becomes successful. Here are some of the best self-help books for business people. Guy Kawasaki, one of Apple’s early developers and a Silicon Valley start-up guru and venture capitalist, is well qualified to talk about small business start-ups. His book The Art of the Start is a good source for entrepreneurs who are stuck when it comes to launching their business (for whatever reason). Kawasaki’s book offers plenty of encouragement for people who have not yet taken action or who have not yet created a successful business. But the focus is on practicality. 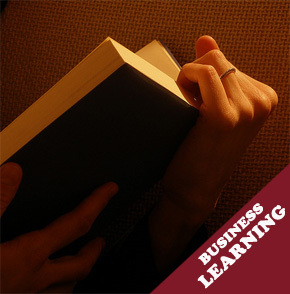 Each chapter has a FAQ section and begins with a section that gives ideas for people who are starting a new business. This is a readable, entertaining manual for small business start ups that is accessible to anyone. Love him or hate him, Tony Robbins is one of the most popular self-help gurus around. CEOs and politicians use his courses and training sessions on peak performance and mastering your doubts and emotions. His teachings can be boiled down to a few simple bullet points (believe in yourself, be positive). Though many people question the application of these over-simplified principles in their own lives, they generally seem more applicable in the world’s of business and entrepreneurship. Awaken the Giant Within and Unlimited Power contain ideas for those who can apply them to business. In 1937, Napoleon Hill wrote a book called Think and Grow Rich. Inspired by the success and business practices of steel tycoon Andrew Carnegie, Hill wrote this book (part game-plan, part philosophy) about everything that it takes to be successful in business and create wealth. Though it is an old book, some of the ideas are well before its time. Not only does the book champion the idea of leveraging your passions and desires to create a successful business, it also goes into detail about the nuts-and-bolts of successful business running: tackling subjects like leadership, how to gain and apply knowledge to strengthen your business and how to turn creative vision into reality. No, there are no sections about internet marketing (this was written even before TV), but the basic principles definitely apply to business today. Tim Ferriss wrote the Four Hour Work Week as a guide to help people streamline their money-making so that they have more time for their passions. He presents lots of ideas on how to do this and gives lots of advice to help people develop a business where minimal effort is required (after an intense set-up process, of course). This book includes sections about outsourcing to save time and creating businesses that take little time to run but create regular cash flow. Ferriss also talks about some of the pitfalls that he experienced in his attempts to create a successful business. Like Tony Robbins’ books, this is not necessarily a complete how-to guide, but it has lots of good insight and information that can be gleaned and applied to your business ventures. For a more philosophical, less business oriented self-help book that is not too preachy, Robert Prisig’s Zen and the Art of Motorcycle Maintainable is a good, time-proven option. Part philosophy, part story, readers will find a lot of ideas that are presented in other self-help books, without a lot of the superfluous psychology that weighs down the self-help genre as a whole. I have read all but one of the referenced self-help books (Art of the Start) and agree they are helpful for business people. Just wondering if you’re aware of any self-help books that specifically address the issues of ecommerce (like driving traffic to your website in a way that is both very effective and very ethical). Thanks.